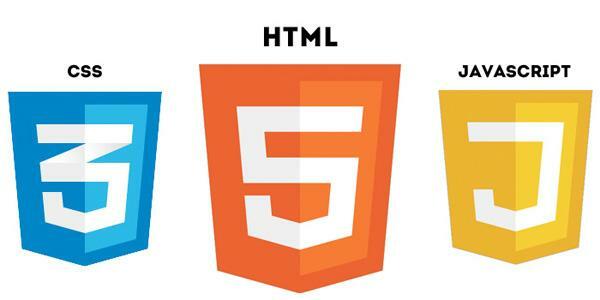 Home » Mobile App Development » Web App Development: is your website accessible from mobile? Web App Development: is your website accessible from mobile? Many online websites and web communities bank on an amount of users who are loyal to the services they offer. This is also the case of those requiring users to register and log in by introducing their credentials. Furthermore, if we also take into account that − according to the Spanish National Statistics Institute − 85% of Internet users get online regularly via their smartphones it seems that moving forward in this direction is a must. This means making it easy for our customer to use our service. Web app development is the next step your website should take towards betting on mobility. Before presenting further details, statistics and arguments that encourage creating apps, let’s first state clearly what we mean by web application and also how it differs from native apps − the kind of apps which we are constantly talking about on our blog. In short, a web app is “a programme that runs on a PC through a web server while users interact with it from a web browser” regardless of whether the browser is installed on a PC, tablet or smartphone. Maybe it’s not made clear yet. Let’s explain it a little more. These are ‘web’ applications because they reside within the cloud and require an Internet connection to work. However, they don’t need to be installed on a computer as they run through any traditional browser such as Google Chrome or Firefox. They store all the data they need to work on servers, and these data are recovered from there when required by the user. The biggest advantage is that the user can − in most cases − retrieve his information from any device and from anywhere via his username and password. You have surely used web applications more than once without even being aware of it. Email services like Gmail or cloud-based document management products such as Google Docs feature among web apps. Also, Facebook games running through the browser such as Candy Crush or FarmVille. These services are increasingly getting more integrated in the browser. First of all − and in case it has not been made yet sufficiently clear − let’s remember that a web application can run both on a PC and on a mobile device. And as we mentioned before, it will always do so through a web browser such as Safari or Google Chrome. However, at the end of the day native applications are also very widely used. What are the key differences between native app development and web app development? Among the technical differences between them, we would like to highlight that native apps need to be installed on the device, whereas this is not the case with web applications. And the end result of the web browser version will also be simpler than that of the native app. The potential possibilities offered by native applications are quite more varied in terms of design and features, but it’s also true that not all websites and online services require these. Finally, the decision of whether developing web applications or native apps will also depend on the nature of the end user’s intended use. If he will use it several times on a daily basis, it makes sense to offer him a top-level native app. However, if the intended use is rather once a week, developing a web application will be enough. The budget is one of the aspects of greatest interest for webpages when it comes to developing web applications. This is especially the case of recently created webpages and SMEs, as it’s the most attractive option for being present on mobile devices without having to invest the large amount of money required for a native app project. If we think about how we use PCs and mobile devices we will come to realise something very significant: most users that choose to use web applications from their mobile devices want to be able to enjoy a quick access and expect the same quality as in the desktop version. However, we’ll logically rely on the fully-featured desktop version if we are to spend a big amount of time on performing certain task. Google Documents is a good example: when writing a text you’ll most probably do so on a PC. However, if you want to look something up or write a quick note you’ll go for the web app or the native app − if installed on your device. Since it doesn’t create native applications, one of the advantages of web application development is that the web apps it creates don’t have to be designed for a specific operating system, as they will adapt to the screen and the programming language “spoken” by the device. And it’s precisely due to this characteristic that web apps don’t need to be downloaded and installed, as they run directly on the device’s browser. The main reason why you should consider undertaking a web application project is the accessibility offered by this kind of technology. It offers great mobility and an easy access from any mobile device: anywhere and anytime by means of a simple Internet connection. Moreover, the possibility of not having to rely always on your PC to access your information stored in the app is also a plus. The Evernote app (which we already included in our list of 2014’s best mobile apps) is a good example of this. It enables making notes and creating documents both from your PC and your smartphone or tablet and lets you access these files from anywhere by simply logging in with your security credentials. There are plenty of web applications allowing multiple users to work on the same content. The prototyping tool Concept Inbox is an example of this kind of services offering teamwork solutions. Another example is also extremely well-known Google Documents, which enables multiple users to work on the same document regardless of how they are accessing the service: perhaps some users will do so through the native app, others through the web application version, etc. In any case, the only requisite will be to have access to the Internet. Security is something to strongly keep in mind in web app development. Since to access the app’s contents one must be connected to the Internet, the possibility that security is not tight enough and that our contents are being exposed is always there. Therefore, as developers we must incorporate the adequate protocols to ensure that our data are safe and as users we must choose a secure password. Finally, when it comes to adapting our website to mobile devices, it may be wiser to consider opting for web application development instead of undertaking the large amount of work and costs associated with developing a conventional app. The two key aspects will be the features that you want your web application to include and the budget at your disposal. However, if you seek to adapt your website to mobile devices, you’re already on the right track. And especially if what you want to promote is the possibility of accessing, sharing and loading contents as easily as possible. Can Mobile App Development Tools build you the app you want? Mobile app development and wearable gaming: are wearables a passing trend? What Will Mobile App Development Look Like in the Near Future?